There are those days when you just want a chocolate chip cookie - today was one of those days. 2. Blend butter, brown sugar, Splenda and vanilla in medium bowl. Stir until creamy. 3. Add eggs, one at a time, mixing and scraping sides of bowl after each addition. Add flour, baking soda and salt; blend. Stir in chocolate chips. 4. Place level tablespoons of cookie dough on ungreased baking sheet. Bake 10 to 12 minutes or until golden brown. Remove from oven and cool on wire cooling rack. Source: Splenda by Publications International. Ltd. 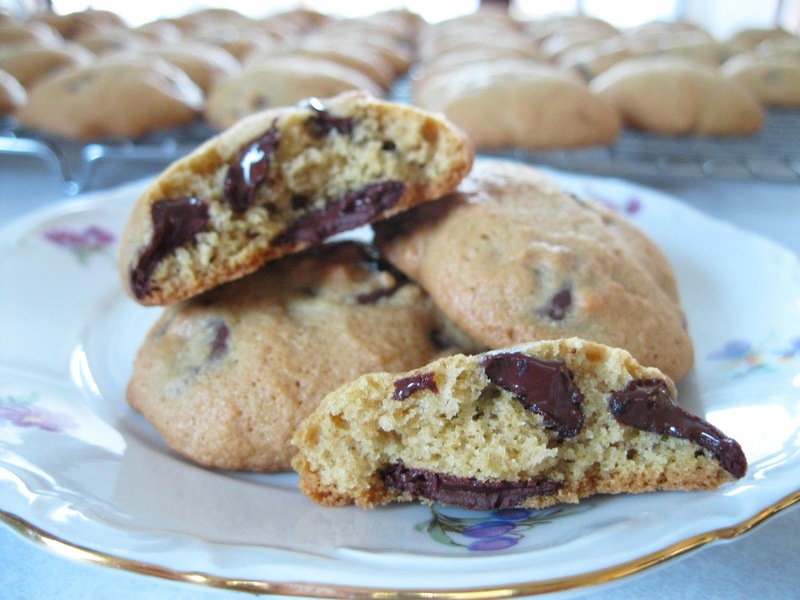 Even with making the ingredient adjustments, the taste was still "chocolate chip cookie!"